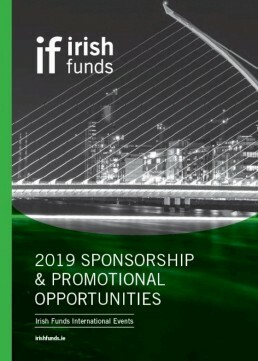 25th November, 2016; Irish Funds, the representative body for the international cross-border investment funds industry in Ireland, held its largest ever UK event with other 600 industry professionals gathering in London earlier today. In sessions covering regulation, authorization processes and product enhancements a mixture of Irish, European and global themes were covered in relation to ETFs, loan funds and passporting. Meeting the needs of millennials provided a forward looking dimension which complemented earlier comments by the Chairperson of Irish Funds, Alan O’Sullivan who pointed to the work of the Association’s FinTech group who are exploring the use of Blockchain for regulatory reporting. “The active and committed involvement of Government, the presence of regulators and policy makers as well of hundreds of industry professionals speaks directly to our approach which is to encourage active and open dialogue, focus on solutions rather than things we can’t control and ensure we maintain the flexibility which both fund investors and industry need”.